The term acolyte is specifically applied to one who carries a torch or a candle in processions or at other times during the Liturgy. However, the term is commonly interchanged with server, which means one who assists. 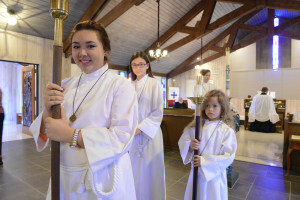 Beyond Sunday School and participation in the youth ministry, serving as an acolyte is often a young person’s primary experience and opportunity for growth within the Church. LEMs administer the chalice at Communion and can perform the duties of acolytes. This ministry is a meaningful opportunity for service, as well as spiritual development. LEMs are licensed by the Bishop. The Altar Guild’s purpose is to serve the priests and congregation by preparing the altar and sanctuary for Holy Eucharist. The Guild consists of four teams, each having a captain plus four additional team members. Each team serves one week a month. Additional responsibilities include cleaning the vessels, linens and implements used at the altar, providing flowers, and keeping the altar in good repair. The Altar Guild also prepares for weddings, funerals, Holy Week, Christmas, and any other special celebrations. Redeemer has a of Greeters who joyfully greet newcomers at each Sunday service, welcoming them to our community. As visitors and guests come into the service, the greeters offer help, if needed. After the service, the greeters introduce themselves and any other members who are nearby. They will encourage the visitors to complete a Welcome card or sign the guest book if they have not already done so, answer any questions, let them know about upcoming events and activities. The greeters also send out a follow-up email to anyone who provides their information. Lectors are a group of people gifted in the ability to read aloud the Holy Scriptures in our services of worship. Their main responsibility is to read the Old Testament Reading, New Testament Reading, and to lead the reading of the Psalm. In the absence of a Deacon, the Lectors also lead the congregation in the Prayers of the People. Training is provided periodically. Music at Redeemer is an engaging part of our worship, and it is first and foremost our gift and offering to God. 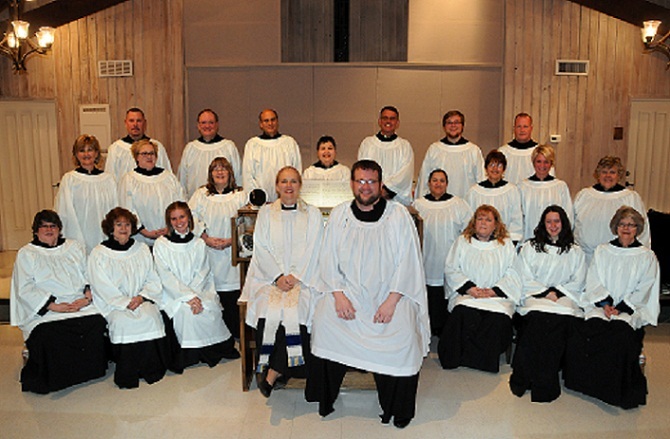 The congregation offers its prayers, praises and proclamations through a variety of songs, supported and guided by the choir, the organ, or other instruments. 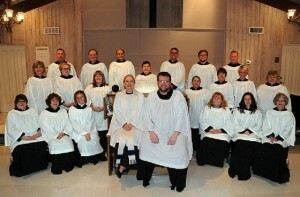 The choir leads our congregational singing at the 10:30 a.m. Sunday Holy Eucharist service and on special holy days. Rehearsals are held Wednesday evenings. Ushers play an important role in setting the tone for a worshipful experience. They greet worshipers as they arrive, distribute bulletins, take an attendance count, collect the offerings, direct the congregation to the altar for communion, and tidy up the pews after the services have concluded.